Identification: Body is short and stout. 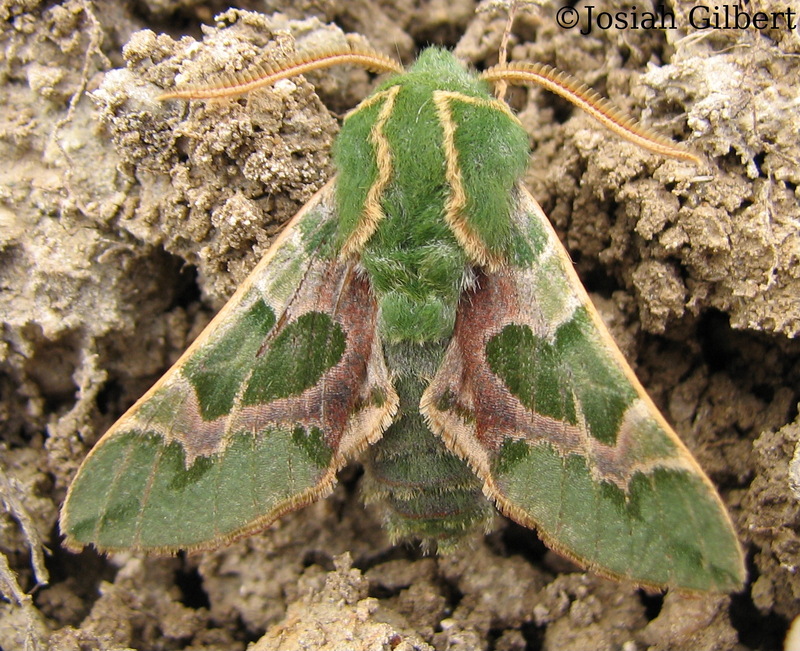 Forewing upperside is green to olive green with pink and brown markings. 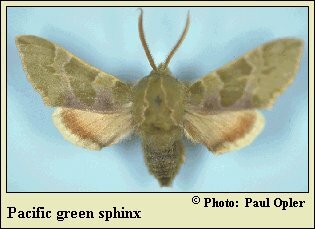 Hindwing upperside is pale rose pink with a darker submarginal band. Wing Span: 1 7/8 - 2 3/8 inches (4.8 - 6.1 cm). Flight: . One brood from late January to March. Caterpillar Hosts: Evening primrose (Oenothera dentata var. campestris) and clarkias. Habitat: Oak woodlands, and grasslands. Range: Washington, Idaho, Oregon, and California. Conservation: Not usually required. Development and invasion of habitat by exotic weeds has probably reduced the number of populations.